Ahoy, pirates, swashbucklers, and privateers! Be ye brave enough to seek fortune and glory on the high seas? 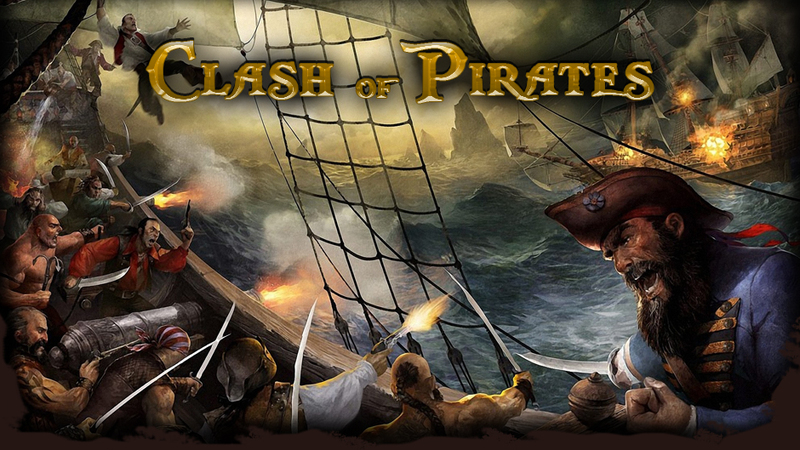 In Clash of Pirates, take the role of captain and command yer crew in search for gold and glory. Become the master of the seas through trade, through alliances, and through outright brutality. Outwit and outfight rival players. Modify your ship with henchmen, ammo, and other features in your quest for dominance. Each game round is different, so hoist your colors and set sail in this strategic and tactical online game.